he pendant is about 1 1/2" x 1 5/8". I have added a wire design for the simple bail with a Labradorite bead. 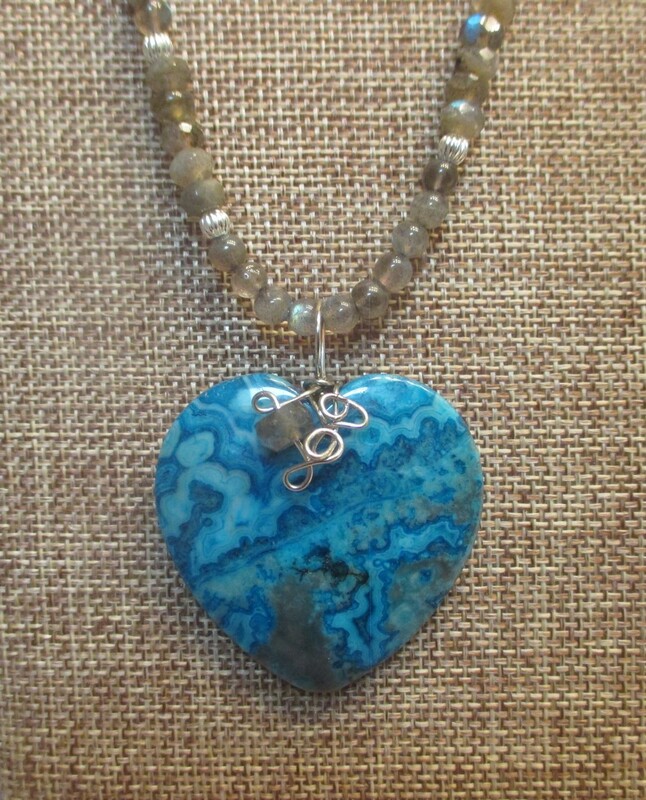 The beaded necklace has several sizes and types of Labradorite beads with small silver tone ones. There are 2 small focal beads also. The necklace is about 23" long with a lobster style clasp.